February is most commonly known for the Valentine’s Day, The Superbowl and The Daytona 500, February is also dedicated to heart health. Thanks to organizations like the American Heart Association and days like ‘Go Red for Women,’ Americans have started to pay attention to heart disease, the leading cause of death among men and women in our country. The main topic of conversation around heart health is prevention. Americans of all genders, ages and ethnicities need to know that they can reduce their risk of heart disease with the right knowledge and management. 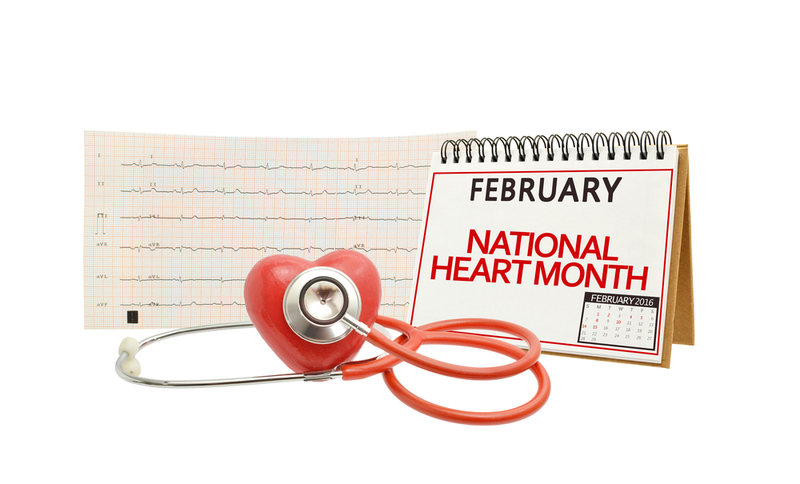 Throughout February, we will be sharing a series of posts to celebrate Heart Health Month and arm our customers with the information and tools they need to maintain a heart-healthy life. We’re starting with Heart Numbers 101 – the numbers used to assess your risk for developing a heart condition. We’ll then provide tips and tools for tracking those numbers and round out the month with a post on easy and fun ways to live heart-healthy all year. Terms like cholesterol and body mass index (BMI) can be intimidating, especially when there are good and bad types or a calculation is required. We’re here to help you tackle that intimidation head-on with a 101 guide on the heart numbers you need to know and track. Ideal ranges for each indicator listed are found in the charts below. These numbers are used to calculate your future risk of a heart attack or stroke. 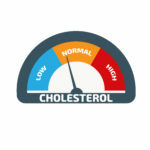 Cholesterol circulates in your blood and is a building block of cells. It comes from two sources, your liver and the food from animals (meat, poultry, dairy). There are three types of cholesterol. Triglycerides: Body fat that contributes to fatty buildups based on your LDL and HDL levels. You are at an increased risk for a heart attack or stroke if high triglycerides levels are combined with low HDL or high LDL. 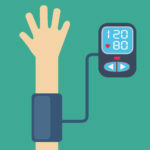 Blood pressure is the amount of pressure in your arteries. It is measured by two numbers, systolic and diastolic pressure. Both are important to track as high blood pressure is a major risk factor for heart disease. *The Systolic pressure number was recently changed by the American College of Cardiology from 120 to 130 to allow for earlier intervention. 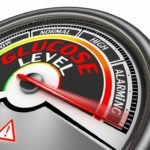 Blood sugar, also known as blood glucose, is the number that determines how well your body uses insulin (a hormone that helps the body create energy). Your blood sugar numbers are the primary indicator of prediabetes or diabetes, both of which cause damage to the heart. 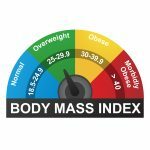 BMI stands for body mass index, a ratio of your weight and height. 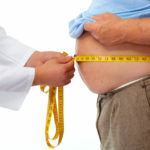 A high BMI indicates that a person is overweight, increasing the risk of heart disease, stroke and/or Type 2 diabetes. Being underweight can also increase someone’s risk for cardiovascular disease due to low heart function and a lack of physical activity. The circumference of the waist indicates how much weight is carried in your midsection. While people carry their weight differently (think “apple” vs. “pear” shape), those that carry their weight around their waist are at higher risk for heart disease, stroke or diabetes. Keeping track of numbers is human nature – we are trained to memorize birthdays and phone numbers at an early age. As we mature, we keep a pulse of our bank account numbers and stock prices. It is now time to store and track a couple more numbers, your heart numbers. Doing so could ultimately save your life. Related: Here are a few tips and free ways you can track your heart numbers.